Fayetteville is a beer drinker’s paradise especially during the month of October as we celebrate Oktoberfest/ We are celebrating all month long with events and our much-anticipated beer passport. You can pick up a Fayetteville Oktoberfest passport at the Fayetteville Convention & Visitor Center and at participating locations in town for $5. Here is how it works: Each book is filled with pages of our awesome venues. When you visit your favorite establishment bust out your passport, buy a drink and they will stamp/sticker your passport. 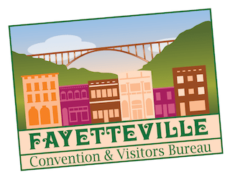 When your passport is full drop it off at the Fayetteville Convention & Visitors Bureau for a small prize and you will be entered to win lots of additional swag! Must be 21 or older to participate. Passports will be available starting October 1st, 2018.